Find out more about Matrix Color lines and products. Full Service Hair Cut, Color and Style for Women, Men and Children. 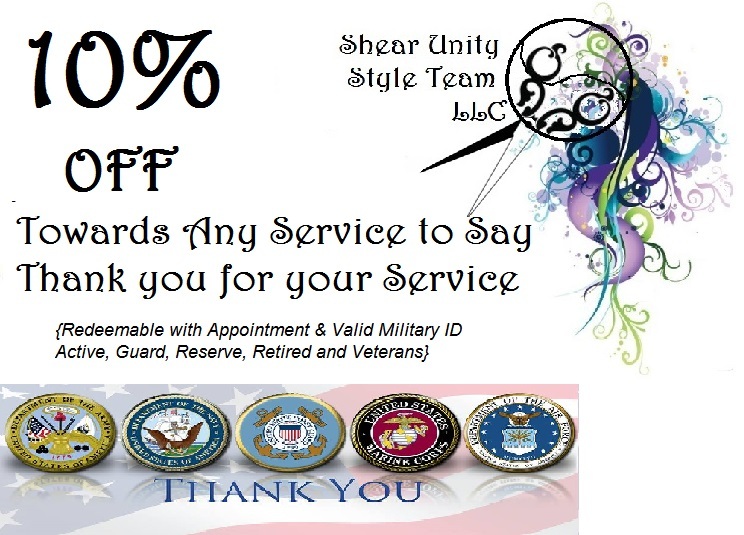 10% Military Discounts - ALWAYS!!!! Offer is given to all Active Duty, Guard & Reserve, Retired and Veterans with VALID ID.